A jazz pianist of diverse influences and abilities, Klaus Mueller, was born in Germany and raised in Japan, Chile, and Brazil. He began piano lessons in Japan at the age of six. After graduating from Stuttgart University of Music and Performing Arts in 1998, he was granted a full scholarship from the German Academic Exchange Service to further complete his studies at the New School in New York. He has been an integral part of the New Yorker Jazz and Brazilian music scene having performed and recorded with artists such as Portinho, Ron Carter, the New York Voices, Harry Allen, Leny Andrade, Paquito D’ Rivera, Steve LaSpina, Emilio Santiago, Marcos Valle, Toninho Horta, Filó Machado. Tours and workshops have led him throughout the United States, the European Union, United Kingdom, Russia, and the Caribbean. 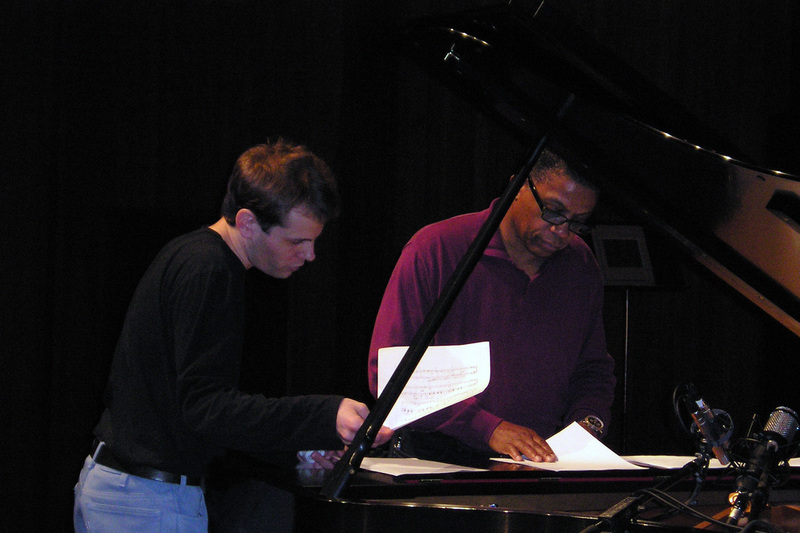 Mueller is not only regarded as a keyboardist but also as an arranger, most notably for jazz piano legend Herbie Hancock, creating orchestral versions of songs from Hancock’s critically acclaimed “Gershwin’s World” album in collaboration with Robert Sadin in 2003. He also arranged music for the prestigious classical label Deutsche Grammophon, and worked as a musical director and accompanist for the opera singer and Tony Award-winner Paulo Szot. On his 2012 album release Far-Faraway, Mueller performed with jazz bassist Ron Carter and Brazilian drummer Portinho. His latest album Village Samba, released in 2016, features mostly original compositions interpreted by some of today’s finest Brazilian and New York-based musicians. Herbie Hancock, Ron Carter, Portinho, Lincoln Goines, New York Voices, Leny Andrade, Paquito D’Rivera, Kenny Garrett and the New Jersey Symphony Orchestra, Harry Allen, Steve LaSpina, Ivan Lins, Emilio Santiago, Marcos Valle, Toninho Horta, Tania Maria, Filó Machado, Paulo Szot, Deutsche Grammophon, Claudio Roditi, Duduka da Fonseca, Maucha Adnet, Nilson Matta Brazilian Voyage, Anne Drummond, Gregor Huebner, Gino Sitson, David Darlington, and many more.